Spec Ops: The Line actually debuted back during the Spike VGA awards this year. The trailer was beautiful, violent, and powerful. Immediately after watching it I said to myself, "this game better have co-op." Now weeks later it looks like that's been answer via a Eurogamer preview of the game. In fact, Spec Ops: The Line follows Captain Welker and two Delta Force members into a futuristic Dubai. The city has been demolished beyond recognition thanks to a catastrophic sandstorm that buried the city's sky scrapers and population. This isn't just a plain action shooter though, there's quite a bit of story and inspiration behind the game. They're here to rescue and repatriate Colonel Conrad, a rogue officer who stayed behind to help the disaster-struck locals rather than following orders to return to the US. The military view is that he's turned, going local and refusing to contact or acknowledge his erstwhile masters. It's Walker's job to get in there, locate the Colonel and get him back out alive. ...Yager openly embraces the primary influence: Joseph Conrad's brief masterpiece Heart of Darkness and Apocalypse Now, the film it inadvertently spawned. 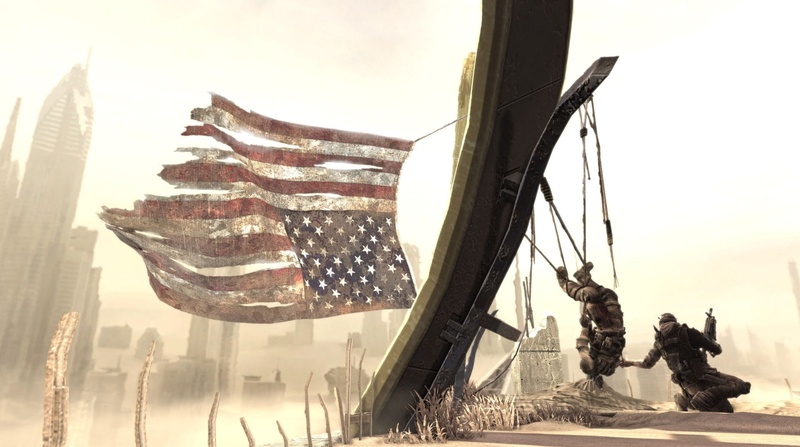 These tales of the fragility of humanity's thin façade, and how easily it's corrupted by arduous and adverse conditions, provide much of the inspiration for Spec Ops' pithy storytelling. But the story isn't just about one man, and in fact, the squad mates are said to be equally as important to the game's main character. After all, this is a co-op experience. Could we see the next Marcus and Dom plus one? Walker's squad-mates are more than just tools to accomplish the mission, too; their development and the group dynamic are a significant narrative device. Davis goes on to say that the two soldiers accompanying you are "equally as important as the main character". The Delta Force framework means hierarchy is dealt with very loosely, so these brothers in arms are friends rather than colleagues, and the interplay will allow a much great depth to their interaction. The type of co-op play, and the number of players, haven't been confirmed. There are separate teams working on both co-op and competitive gameplay modes, and Eurogamer seems to think that whatever co-op we get is going to be strongly driven by narrative. That's a line we can walk. 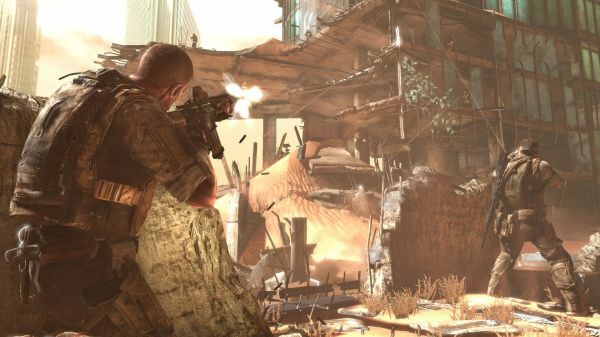 Spec Ops: The Line is set to be release later this year or early next for the Xbox 360, PlayStation 3, and PC.